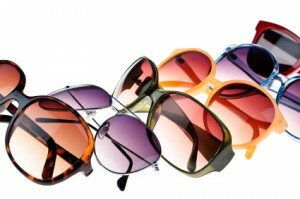 If you are shopping for prescription sunglasses in the Somerville, MA area, visit the expert team at Parrelli Optical. If people have had vision problems in the past, they will likely want to protect their eyes at all costs. Men and women who work outdoors for the better part of the day will be exposed to ultraviolet light quite regularly. By procuring thick lenses that can completely block these harmful rays, concerned individuals will be able to protect themselves from glaucoma, cataracts, and a variety of other conditions. In most cases, polarizing lenses are the way to go. With a reduction in glare, wearers will be better able to see where they are going. This is especially crucial for people who spend most of the day behind the wheel of a vehicle. Because each and every pair of sunglasses at Parrelli Optical is available both with and without corrective lenses, men and women will ultimately have a broad array of styles to choose from. Maui Jims, Ray-Bans and Oakleys are all good options. Children who are protected from ultraviolet rays early in life will have a much greater chance of avoiding macular degeneration later on. Prescription sunglasses are vital for individuals who consider themselves enthusiasts of the outdoors. Whether men and women are passionate about boating, hiking, golfing, or lazing on the beach, a sturdy pair of glasses will protect their eyes from the harsh glare of the sun. Because sunglasses are also useful for people who are mowing lawns or trimming hedges, most individuals will want to find a pair sooner rather than later. In the end, if you are intent on protecting their eyes will want to make regular trips to Parrelli Optical. With the best selection of prescription sunglasses in the Somerville, MA area, you will not be disappointed!